Seochan (she-ock-awn) is the Celtic word for peace. 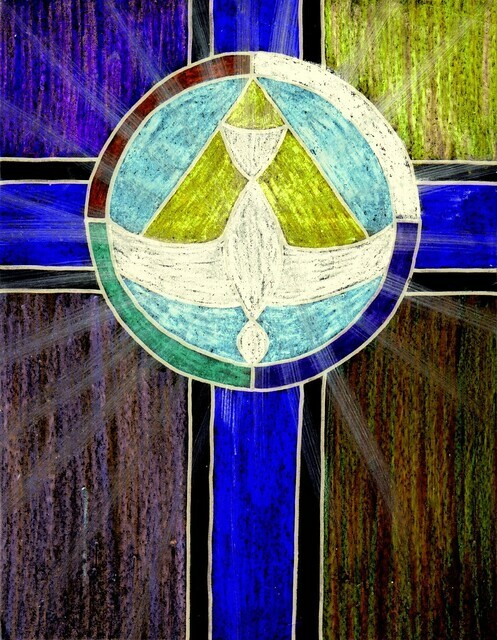 This Celtic Peace Cross is a stained glass design using my digital glass technique. The descending dove of the Holy Spirit is combined with the christian Fish symbol for Christ It is overlaid on a Golden triangle representing the Trinity. The Dove is surrounded by an everlasting circle which has the liturgical colors of the Church.